GROTON, Mass. -- Musician J. Geils, founder and namesake of the band behind 1980s hits "Freeze Frame" and "Centerfold," has died at age 71. John Warren Geils Jr. was found dead in his Groton, Massachusetts home, according to ABC Boston affiliate WCVB. Geils formed the Boston-based band in the 1960s as an acoustic blues trio. They later added singer Peter Wolf and became more blues-rock oriented, signing their first record deal in 1970. Their 1970s hits included covers of "First I Look at the Purse" and "Lookin' for a Love" and original tunes "Give it to Me" "Must of Got Lost." 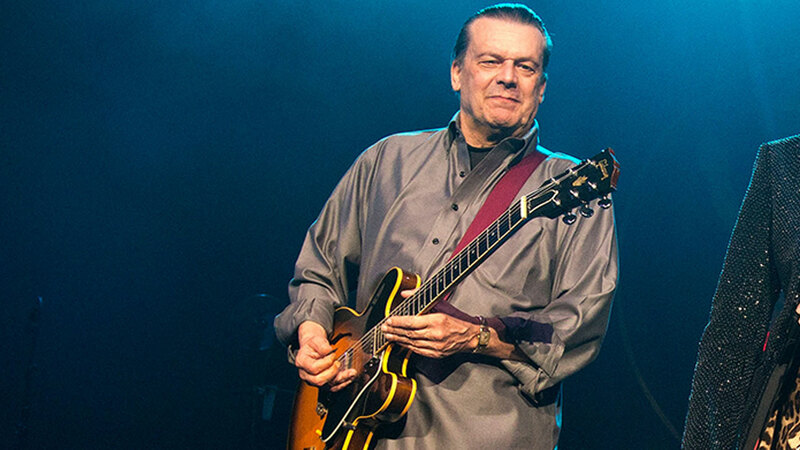 Musician John Warren Geils Jr. of the J. Geils Band has died. But the group hit its peak in 1981 with its more pop-oriented album Freeze Frame, which hit No. 1 led by the singles "Centerfold," "Freeze Frame" and "Angel in Blue." The band broke up in 1985 and Geils turned to other interests, including racing and restoring cars. They had occasional reunions, including a tour in 1999. But Geils later broke from the other band members, who continued to perform under the J. Geils Band name without him, triggering a legal fight over the name in 2012. The Groton Police Department says officers who were called for a well-being check found Geils dead in his home around 4 p.m. The department is investigating, but said the preliminary indication is that he died of natural causes.